Founding Pastor of Freedom House International Ministries - London UK following a Holy Spirit encounter. Further had an open vision experience of Heaven and Hell as depicted in her book "Hell on Earth" in the year 2004. Lived and died in Christ, 06 October 2016, aged 49 years old. She was the Senior Pastor at Freedom House, an Evangelist, Prophet,Teacher, Psalmist, Writer, Publisher, Housing Practitioner. Held an LLB in Law. She was the Visioneer of Hope Alliance UK, an organisation of various people in the Body of Christ, coming together with a common goal of preaching the Gospel of Jesus Christ to a dying world, to bring the lost souls from darkness into Light. Expressing the love of Christ in acts of kindness. She was mother to Temitope and Precious. She slept in the Lord on 06 October 2016. This book is the story about a pastor who having tried for many years to build his congregation size without achieving his anticipated success, decided one day to quit being a pastor. But to his incredible surprise on the day before he was meant to announce his resignation, he had a riveting encounter with God. As a result, he realised the importance of carrying on fulfilling God’s purpose for his life and not quitting. 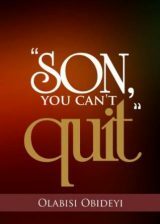 Son, you Can’t Quit is a story every true believer will find both inspiring and encouraging. Encouraged by God is Pastor Olabisi’s blog site whereby she posts encouraging Christian articles, that will encourage, inspire, increase and strengthen your faith in Christ Jesus. Following a Holy Spirit encounter in 2004, Pastor Olabisi became founder and senior pastor of Freedom House International Ministries. She is also CEO of Divine Grace Enterprises Limited, a Christian publishing company dedicated to Christian book publishing, flyer designs, logos and other kingdom glorifying designs and print work. Further to her initial deliverance experience in the early part of year 2004. Pastor Olabisi had another stunning ‘open vision’ encounter of heaven and hell in the latter part of year 2004. The combination of her experiences has further strengthened her passion to spread the Good News of Christ’s deliverance powers across the world. 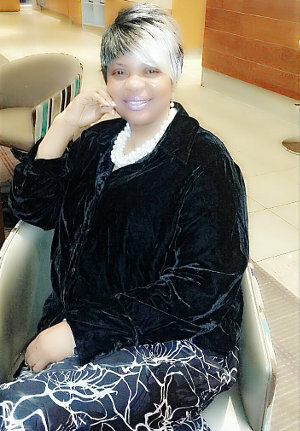 Pastor Olabisi now uses all available communication avenues to spread the Good News of salvation including television, radio, Internet and also through her Holy Spirit-inspired writings. 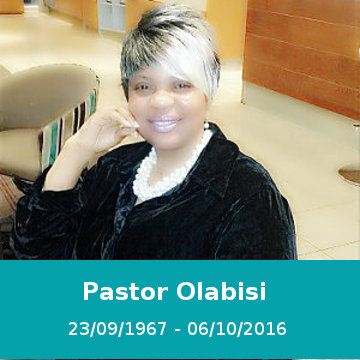 Pastor Olabisi also holds an LLB (hons) degree in law. You can find out more about the various arms of Pastor Olabisi’s ministries at her personal website. We hope you will be inspired by Encouraged by God website contents. We pray you will be uplifted and inspired by the Christian articles, Christian Prayers, Christian audio Messages, Christian audio podcast sermons and Christian video messages that you will find on this website.